Ever think, “Nothing sounds good to eat” or “I have no clue what to make for dinner”? Yeah, me too. All. The. Time. I don’t know how this is even possible considering I’m surrounded by food — my office is in a KITCHEN. I blog about FOOD. 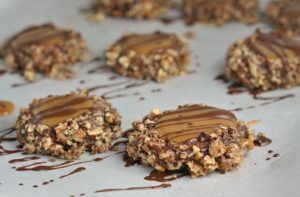 I’m a dietitian, for goodness sake! Food is a part of every facet of my life and sometimes I just go…blank. 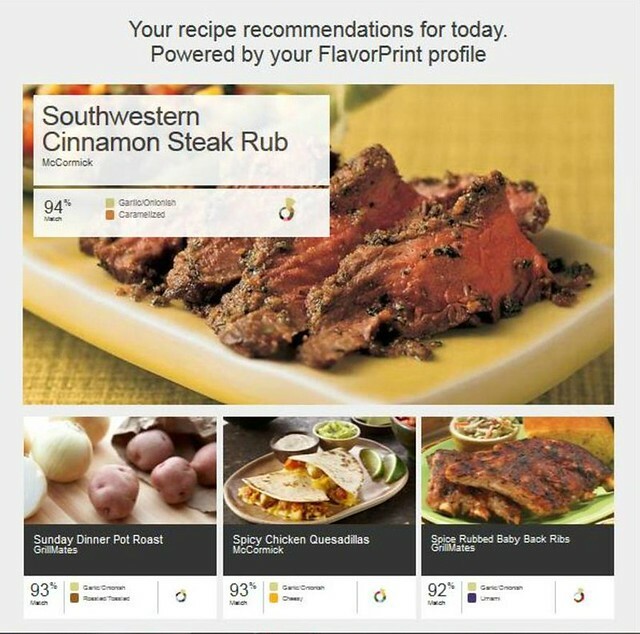 When McCormick introduced me to FlavorPrint, their unique recipe generator that suggests recipes based on your flavor preferences (fondly referred to as your “flavor fingerprint” — one of a kind, you are! ), I was stoked. In less than two minutes, you can find your unique FlavorPrint by answering a series of questions about your flavor preferences…it’s that simple. TWO MINUTES –> recipe ideas you’ll love. That’s all there is to it. 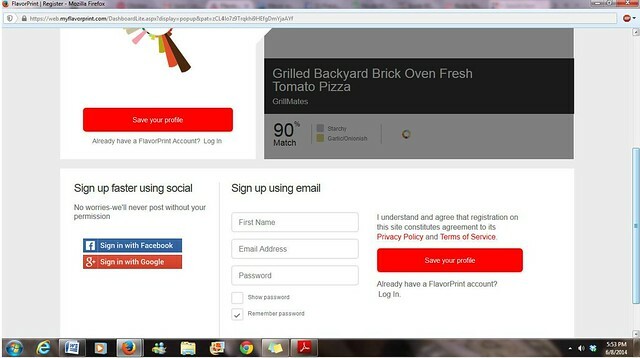 To get started, first, make an account on the FlavorPoint website. This takes about 0.8 seconds. Super simple. 1-2-3, done. Answer some questions (done in under 2 minutes!) and voila, you’ve got your custom FlavorPrint! For me, this was: coffee/chocolatey, tomatoey, and cheesy…none of which are a shocker – nom, nom, nom. 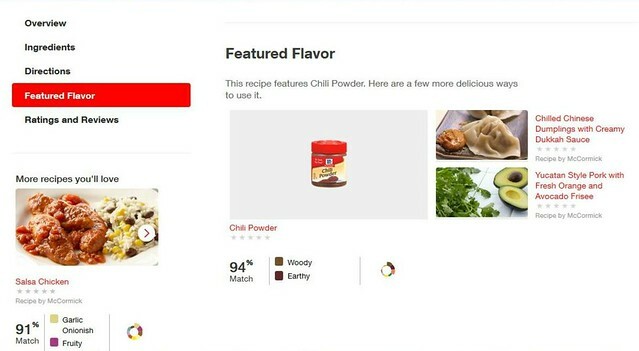 The more specific you are with your likes and dislikes, the better the likelihood FlavorPrint will find *the* best recipes for you. Then, recipe suggestions (many of them) based on your FlavorPrint (with a percentage telling you how well they match your FlavorPrint) will generate. Um, cool beans. Theirs may look better than mine, but hey…the flavor was fantastic. In fact, we’re serving them in the hospital cafeteria next week. Yep, that good. Combine the chopped chicken, cheese, tomato, green onion, chili powder, cumin, garlic salt, and oregano; mix well. 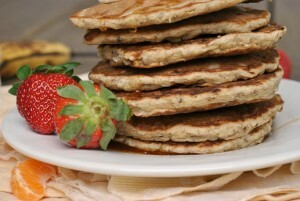 Preheat an electric griddle to 350 F or heat a large, nonstick pan over medium-low heat; mist with cooking spray. 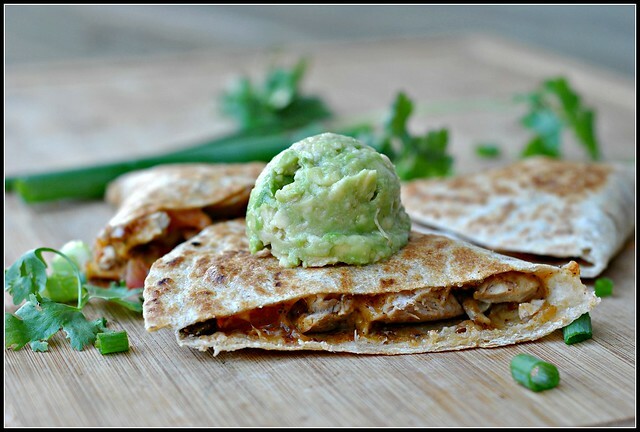 Place the tortilla on the hot griddle or in the hot pan and cover ½ of the tortilla surface with the chicken mixture; fold the other half over the top and gently press down with the back of a spatula. 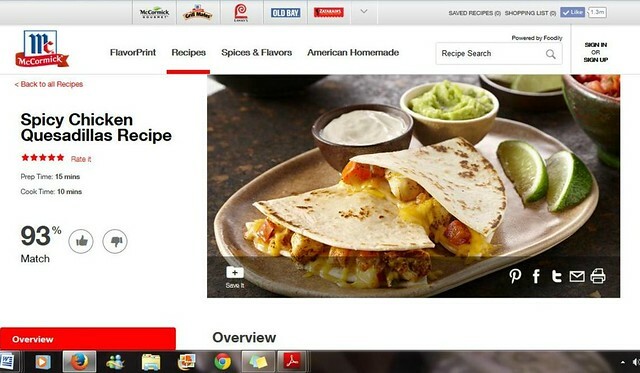 Cook quesadilla 3-4 minutes or until golden brown and carefully flip; cook an additional 2-3 minutes to warm through. Very cool! I just signed up to try it out. This is so cool! I got Sour, Smokey, and Vanilla… but I like your FlavorPrint better! I updated my preferences, and it replaced Vanilla with “Garlic/Onionish” which is perfect!